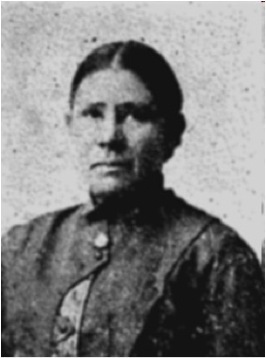 Margarita Ortega was a school teacher who came from a family "made up of people who were not politically conscious, but were proletarians aspiring to be bourgeois". During the unrest in Mexico in the early years of this century, she joined the Partido Liberal Mexicano (Mexican Liberal Party). Despite its name, the PLM was openly anarchist communist in its views, and was very active among workers and peasants. "More than one time her daring and cold blood saved her from falling into the hands of the forces of tyranny. Margarita Ortega had a big heart on her horse, or from behind a boulder, she could keep the Government soldiers at bay, and a little later she could be seen caring for the wounded, feeding the convalescing or offering words of comfort to the widows and orphans." In 1911 Margarita told the man she was living with: "I love you; but I also love those who suffer, and for them I fight and risk my life. I don't want to see more men and women giving their effort, their health, their intelligence, their future to make the bourgeoisie rich. I don't want there to be men who order around other men any more. I am determined to continue to fight for the cause of the Partido Liberal Mexicano, and if you are a man, come with me to the country; otherwise, you can forget me, because I am not going to be the companion of a coward". He refused to go with her, but her daughter Rosaura replied; "Let us saddle the horses and throw ourselves into the struggle for the redemption of the working class!" Because of their activities, Margarita and her daughter Rosaura were expelled from the border town of Mexicali, and marched out into the desert, with the command that they never return again... For several days they struggled under the blazing sun through the desert. At one point Margarita thought that her daughter had died, and was about to kill herself when she saw signs of life. The pair struggled on to Yuma in the United States, where Margarita was arrested by the immigration officials. She managed to escape from prison, and with Rosaura went to Phoenix, Arizona. Rosaura had been badly effected by her ordeals in the desert. She wished to return to Mexico to take part in the struggle rather than die on her sick bed but this was denied her by death. With her comrade in struggle and love, Natividad Cortes, Margarita began to organise the anarchist movement in the northern Mexican state of Sonora, using the small town of Sonoyta as her base in October 1913. But she and Cortes were surrounded by government forces, and he was shot dead. Margarita was imprisoned in Mexicali. She refused to name any other members of the PLM and as a result she was tortured. "Cowards!" she shouted, "Tear my skin to pieces, break my bones, drink all of my blood, and I will never denounce one of my friends". She was forced to stand up in a cage. Any time she leant against the bars she was shoved back into the middle of the cage. If she fell on the ground, she was beaten till she was forced to stand again. After 4 days of suffering, she was taken out and shot at night. "A shot left this noble woman without life, free; her existence and example to remind the dispossessed to redouble our efforts against exploitation and tyranny"
Let us saddle the horses and throw ourselves into the struggle for the redemption of the working class. although this article has it at some point in 1914. Can anyone clarify?